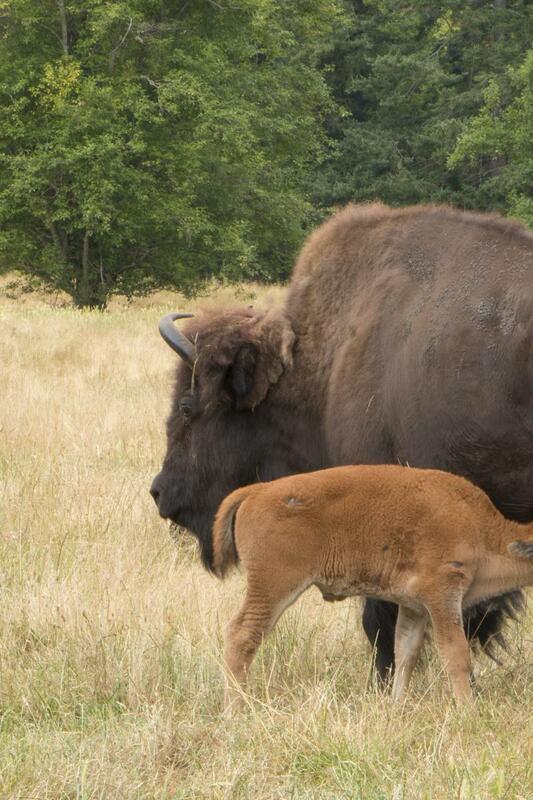 Seeing a bison from a distance is a magical thing. The unexpected, lumbering grace with which they move their more-than-half-ton of weight can be mesmerizing. But that’s not what we’re doing today. Today, we’re so close, I can smell this bison’s musk. I can hear his grunting from only a few feet away. Up close, he’s a mountain of muscle, hide, horns and hair perched on disproportionately tiny legs. He makes strangely sentient eye contact through droopy, watery eyes. 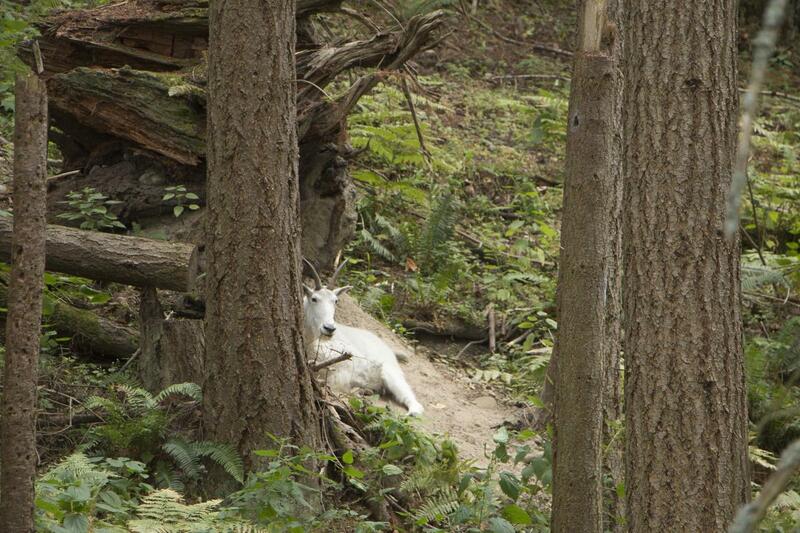 He’s docile - almost friendly - but his size and his sharp, upturned horns give everyone in our group a moment of pause. One step in our direction, or one toss of his head and he’d make contact with our vehicle. But instead, he wanders the other direction, probably in search of more food. 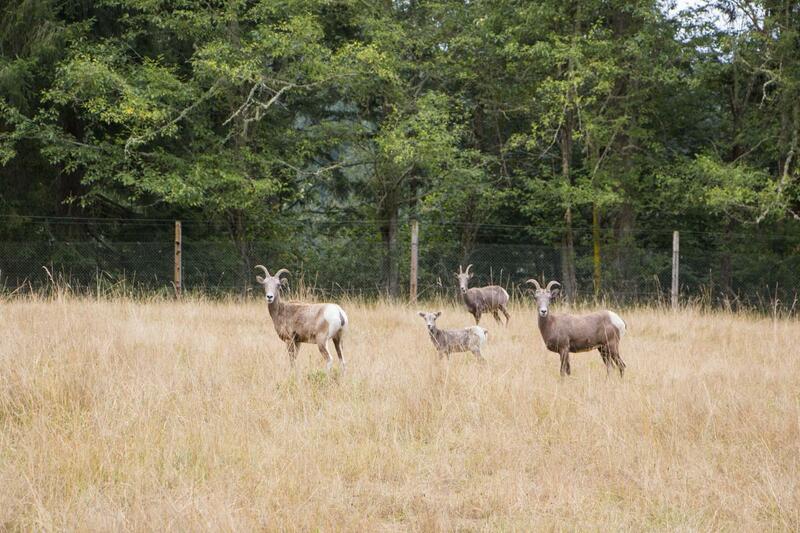 That&apos;s the difference between a tram tour and the new Keeper Adventure tour at Northwest Trek Wildlife Park. 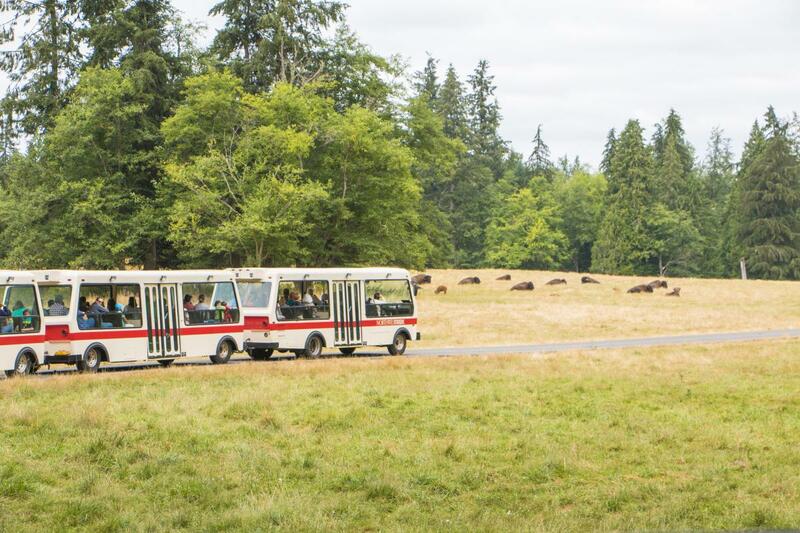 The tram tour that’s included with admission to the park is a worthwhile wildlife-spotting adventure. 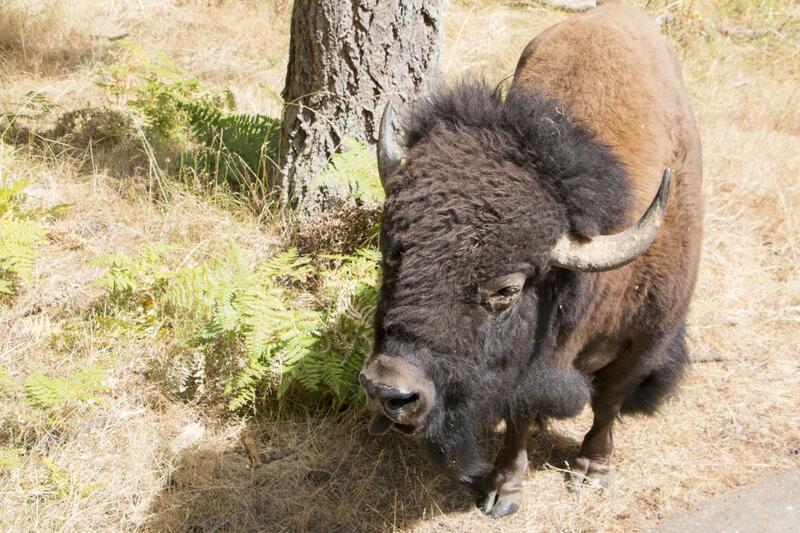 On it, there could be a sighting of moose, deer, big-horn sheep or bison around any corner of the tram’s paved path winding through the free-roaming area. The Keeper Adventure aims to take things a little more into Jurassic Park territory, but not in a scary way. 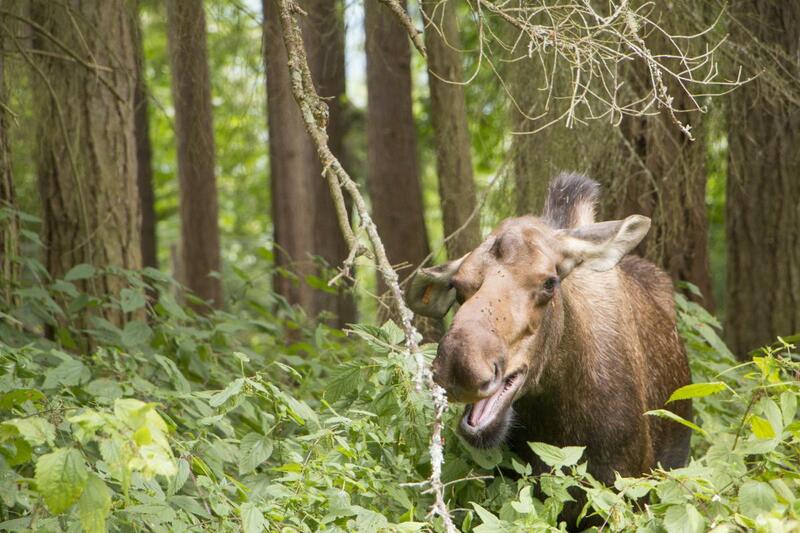 The best way to describe it is that on the tram tour, the animals come to you – you hope. 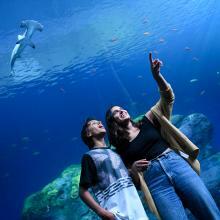 On the Keeper Adventure, you go visit the animals. It’s an authentic look at the animals in their own environment. 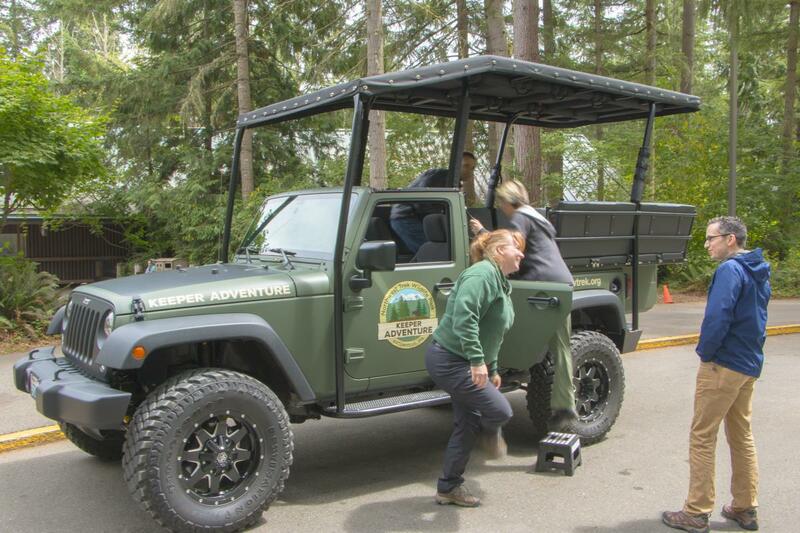 Our adventure starts with the keeper/driver, Deanna Edwards, welcoming us aboard a specially designed and custom-built off-road touring Jeep. We use a stepstool and then a big step up to the guest-seating area that’s covered with a retractable roof for inclement weather. Today is a top-down kind of day. There are electrical outlets beneath each seat, for reasons that become apparent later. Edwards is effusive, seems to know every detail about the appearance and temperament of each individual animal (identified by their ear tags), and is not above telling a dad joke or two. We spot a group of bighorn sheep, and slowly approach them. The idea of this Jeep is new to them, and they’re not fans, especially in the company of their new lambs. We get close enough for some good snaps, and for Edwards to spot a sheep with a lame leg, and she immediately calls it in. While she’s there to guide us and drive us, she’s also an on-the-job keeper, which adds immeasurably to the authenticity of the tour. ...but they’re eager to get back to their normal lives and their families. Sometimes they just want some privacy to cool off in the shade. Still, we&apos;re able to see and capture some things that give us more insight into how the animals live outside the tram tour area. 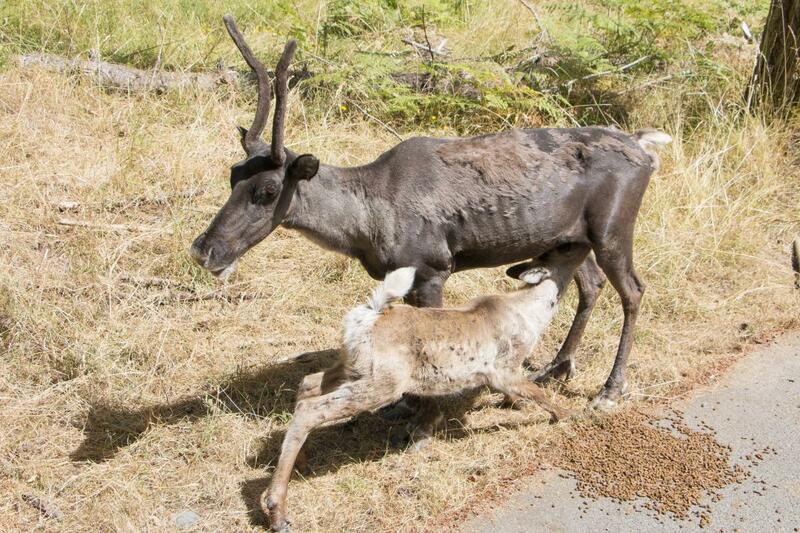 A caribou calf nurses hungrily and aggressively. 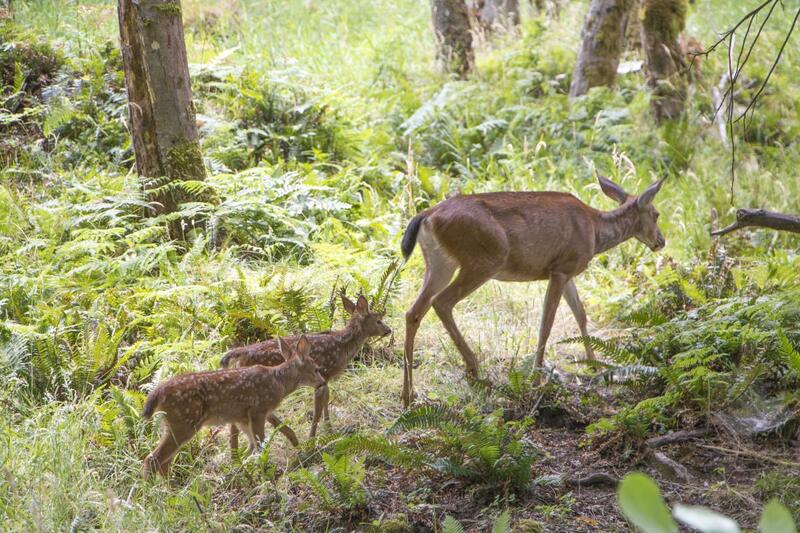 A deer and her fawns were taking a stroll through the woods. A tram tour spots our Jeep heading across the grassy hills and some of the folks aboard shoot us some questioning and maybe jealous looks. 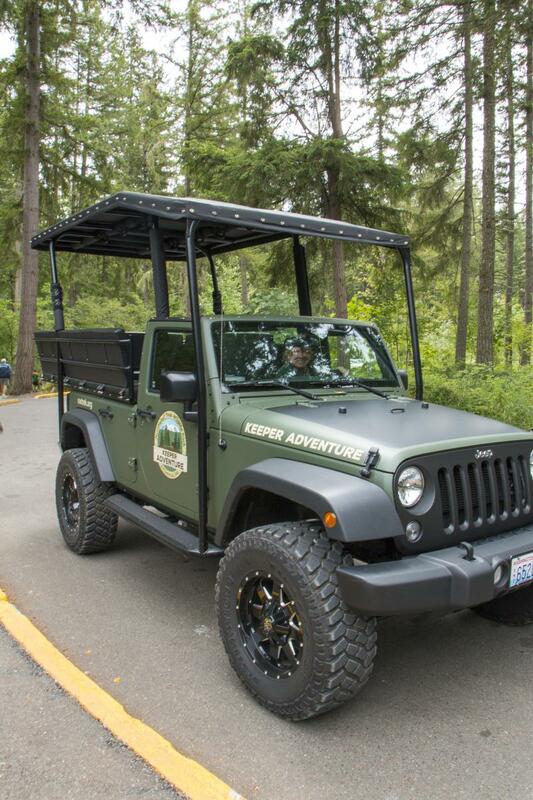 I’m pretty sure at least a half-dozen Keeper Adventure tours just got sold. I’d snapped so many pictures, rapid-fire, without checking my battery which by now was more than three-quarters tapped. That’s when I remembered the outlets, and was thankful Northwest Trek had the foresight to ensure those were installed. 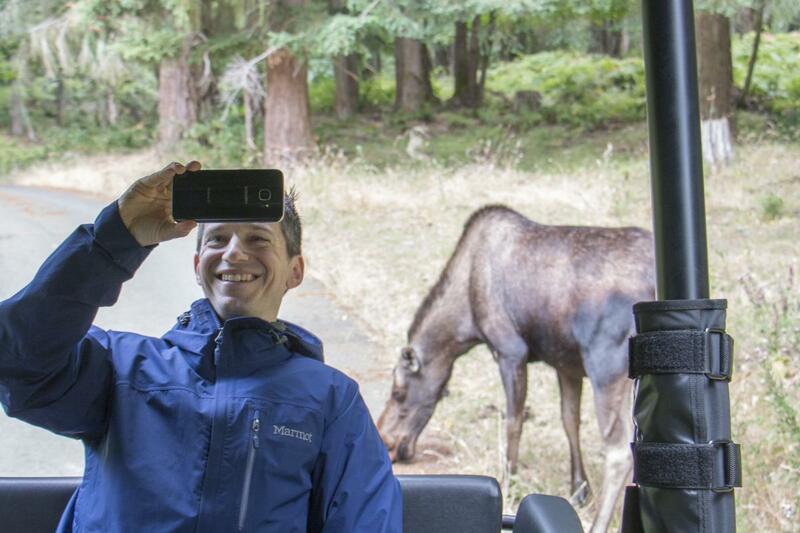 As the tour ends, we return to the main part of Northwest Trek to see the rest of the animals and to also take a tram tour, just to see things from the other side. Participants must be age 5 or older. Cost is $80 for Northwest Trek members and $90 for non-members, which includes admission to the park, as well as a tram tour. 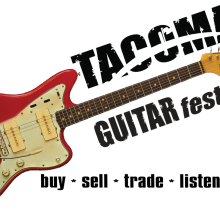 For more information, visit Northwest Trek&apos;s Keeper Adventure page. Dress in layers for our unpredictable Pacific Northwest weather. Make sure your phone/camera batteries are charged, and bring a plug-in charger. Arrive early, as tickets are sold on a first-come, first-served basis at the front gate. Make a full weekend of it: Stay overnight on the Mountain in a cabin or a hotel.